Judgment of Paris at the University Club, a re-imagining of the blind tasting of chardonnay and cabernet sauvignon organized in Paris in 1976 hosted by George Tabor, author of Judgment of Paris: California vs. France and the Historic 1976 Paris Tasting That Revolutionized Wine. 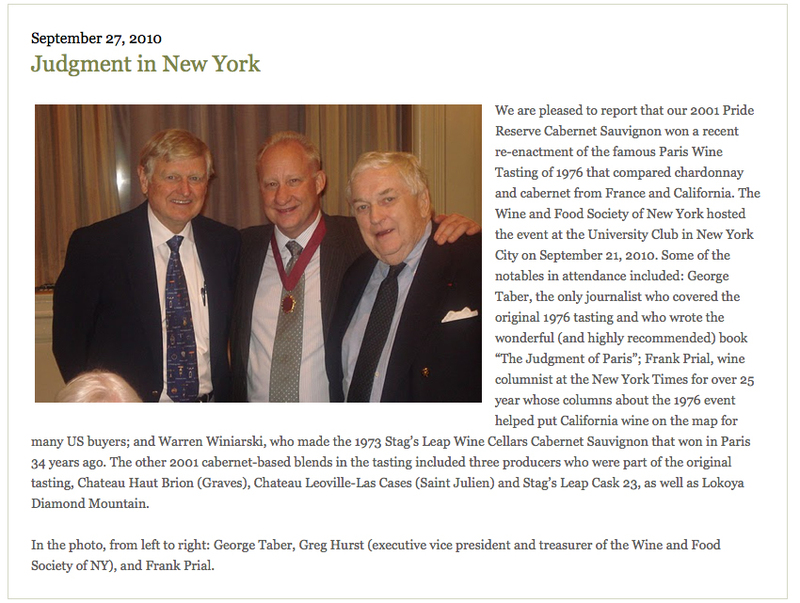 And other distinguished guests, Frank Prial, wine columnist for the The New York Times for 25 years and Warren Winiarski, the owner and winemaker of Stag’s Leap Wine Cellars. A sold out event.